"Dr. Perez is the kindest, sweetest doctor I have ever met." "Great service, very caring and attentive doctors." "Dr. Lievano is attentive, knowledgeable, and caring." "I absolutely love the office as it feels warm and inviting..."
Lievano Perez Obstetrics and Gynecology of Miami is South Florida’s premier women’s health practice, providing a vast array of gynecology and obstetrics services, rejuvenation and cosmetic therapies, as well as surgical procedures and menopause treatment options. Under the direction of Guillermo Lievano, DO, and Ileana Perez, MD, the guiding principle of the multicultural practice is to provide exceptional care in a warm, respectful, and comfortable environment. 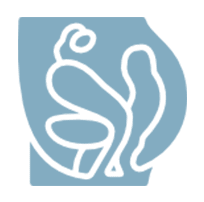 It’s this patient-focused philosophy that has made Lievano Perez Obstetrics and Gynecology of Miami a leading obstetrics and gynecology center in Miami, enjoying particular popularity with South Florida’s international community. 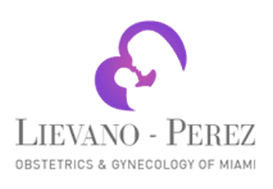 Lievano Perez Obstetrics and Gynecology of Miami serves patients from Central America, South America, and the Caribbean. The bilingual team speaks both English and Spanish, and has a knack for making patients feel at home regardless of where they are from. In addition to obstetrics, the medical team provides treatment for common women’s health conditions like infertility, pelvic pain, and heavy or painful periods, as well as services like contraceptive management (birth control) and hormone replacement therapy. 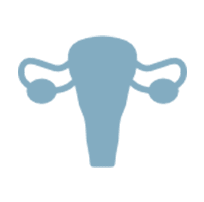 Surgical procedures include hysterectomies, endometrial ablation, and treatment for fibroids and ovarian cysts. 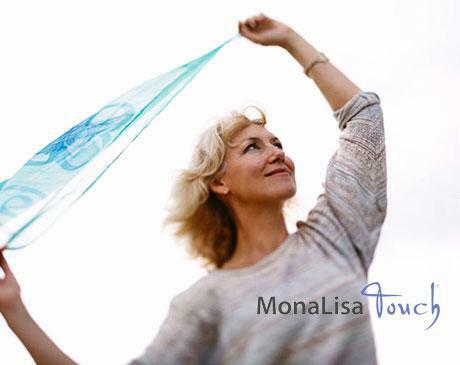 Lievano Perez Obstetrics and Gynecology of Miami physicians also offer urinary incontinence treatments, including laser services like the MonaLisa Touch®. Lievano Perez Obstetrics and Gynecology of Miami is ready to serve all your women’s health needs. Book online or call today. Pregnancy is one of the most life-changing events a woman will experience. It is one of the most special times in her life. 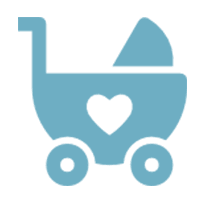 At Lievano Perez Obstetrics and Gynecology of Miami, we are devoted to making sure this special time is smooth and carefree. Most Gynecology Services Can Be Treated in Our Office Same Day You Start Experiencing Symptoms. Call Us Today as Same Day Appointments May Be Available. Our office proudly offers a safe and effective treatment for women’s health and wellness with the Votiva Laser. 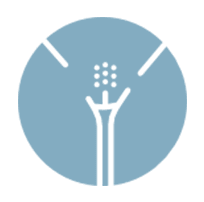 Votiva is a Non-Surgical Vaginal Rejuvenation for women of every age to benefit from. 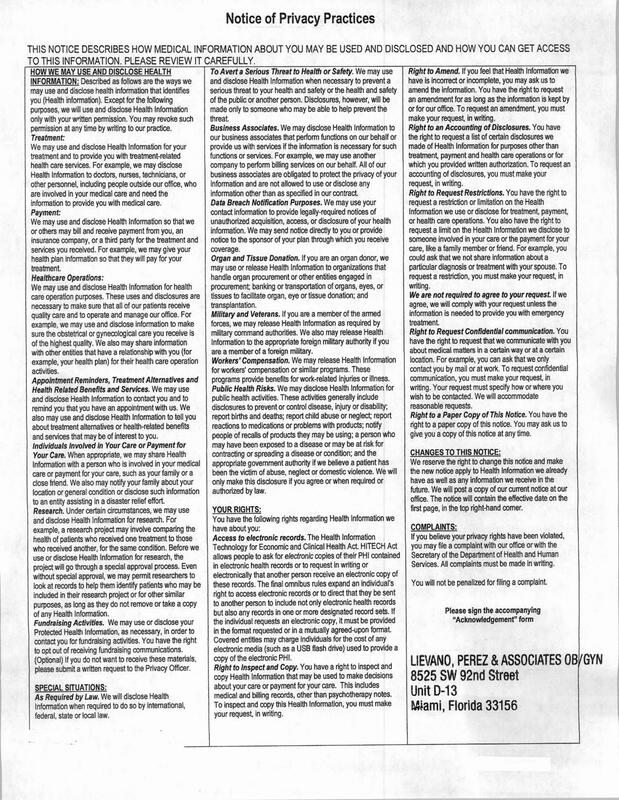 We accept most major commercial insurance carriers in South Florida. If you are an International, self-pay patient, or have any coverage-related questions, please call our office during business hours to better assist you.